Good dogs deserve good treats! Treats that are not only great tasting, but wholesome and healthy. 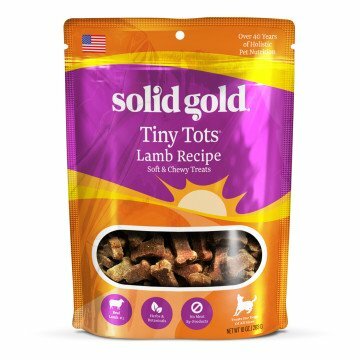 Tiny Tots Lamb Jerky dog treats are made with real lamb and are ideal for treating and training. They are soft enough for puppies and older dogs, while still satisfying all dogs in between.